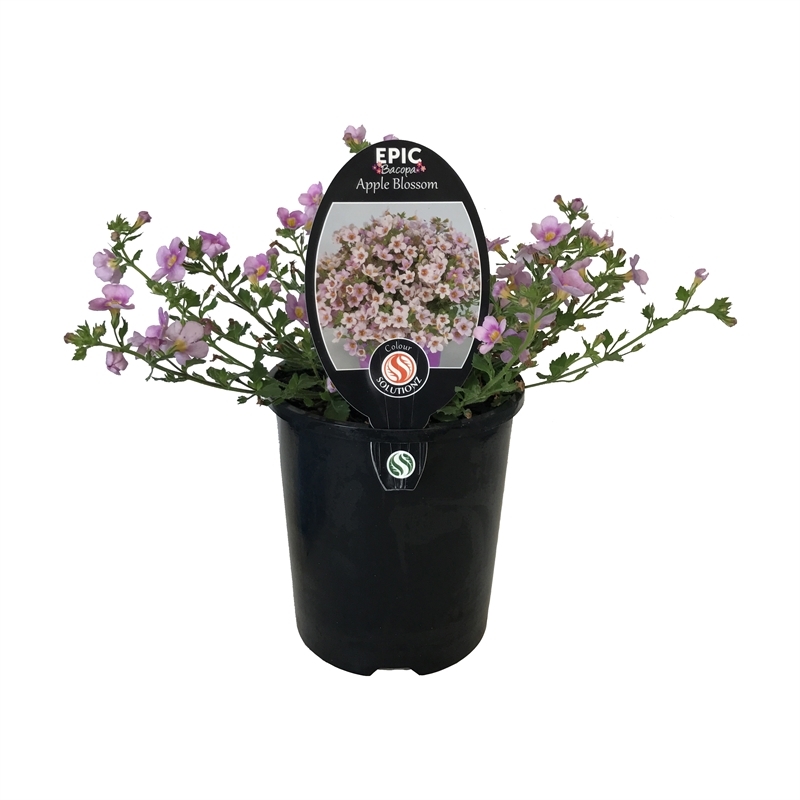 Epic Bacopa are a series of early flowering perennials with a very vigorous, trailing, yet compact and well-branched habit. 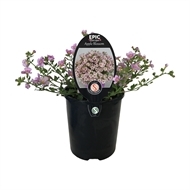 Epic Apple Blossom has glimmering light pink with dark eye flowers all summer long. These heat tolerant bacopa have self-cleaning flowers so no need for deadheading. Looks beautiful as a ground cover, or cascading from hanging baskets and containers.